Today Alberto Sironi, as part of advanced training (phase II) has dealt with the interesting topic of flying with wind in the area extending from our base to the Valtellina valley (Swiss border NE of Calcinate). 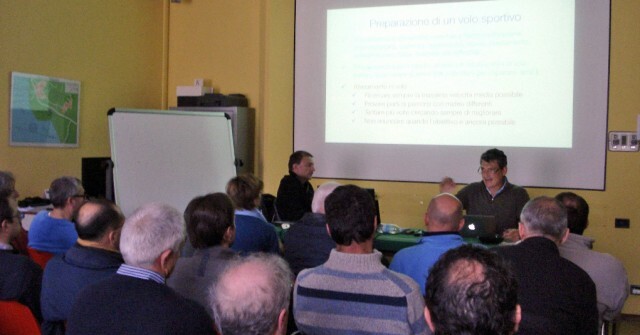 In addition, he has analysed and illustrated a 300 km triangular flight Calcinate – Tirano – Crodo in thermic conditions. They were many participants thanks to Alberto’s efforts to involve, advise and encourage them to set and achieve their goals.